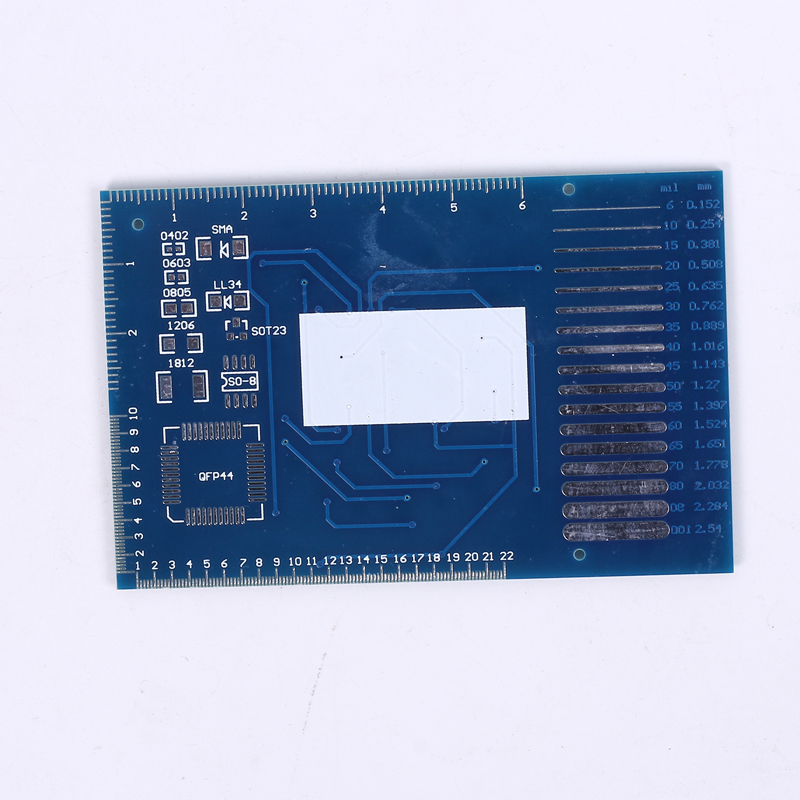 3, board material: international standard sheet, all tin pad, high strength fire drop material, can be repeated disassembly. 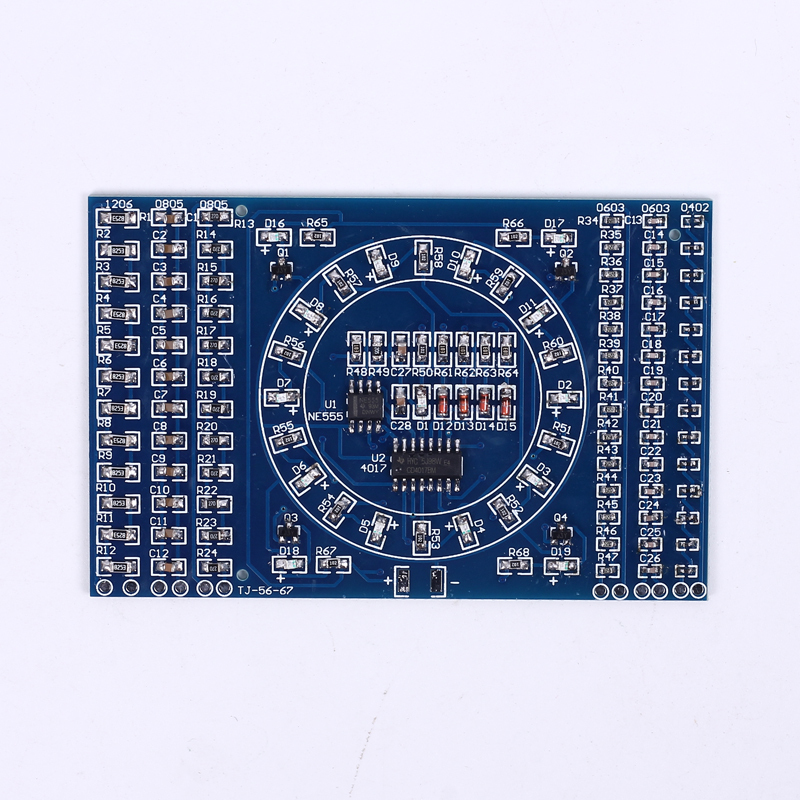 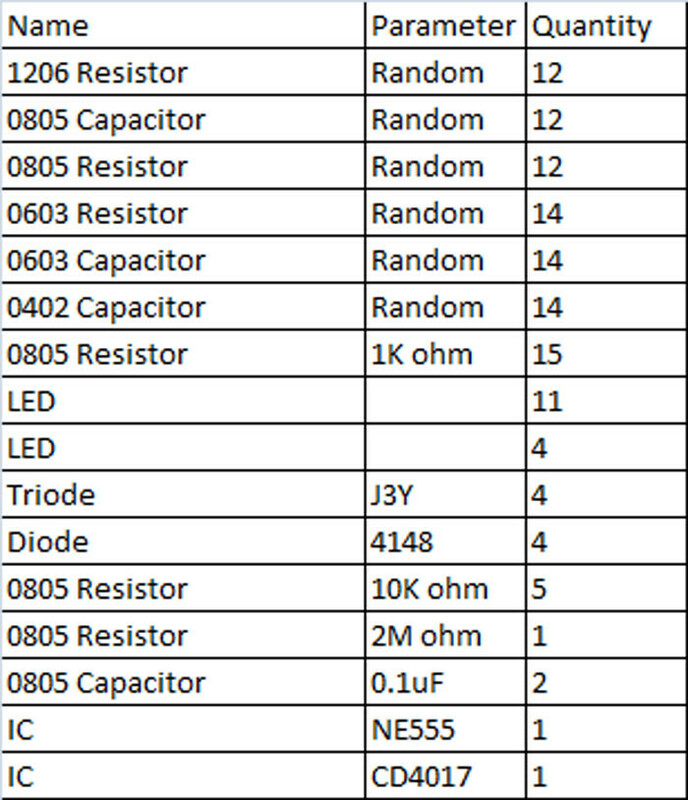 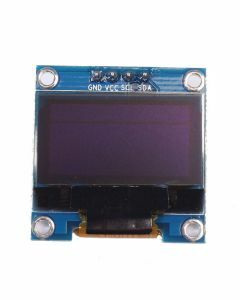 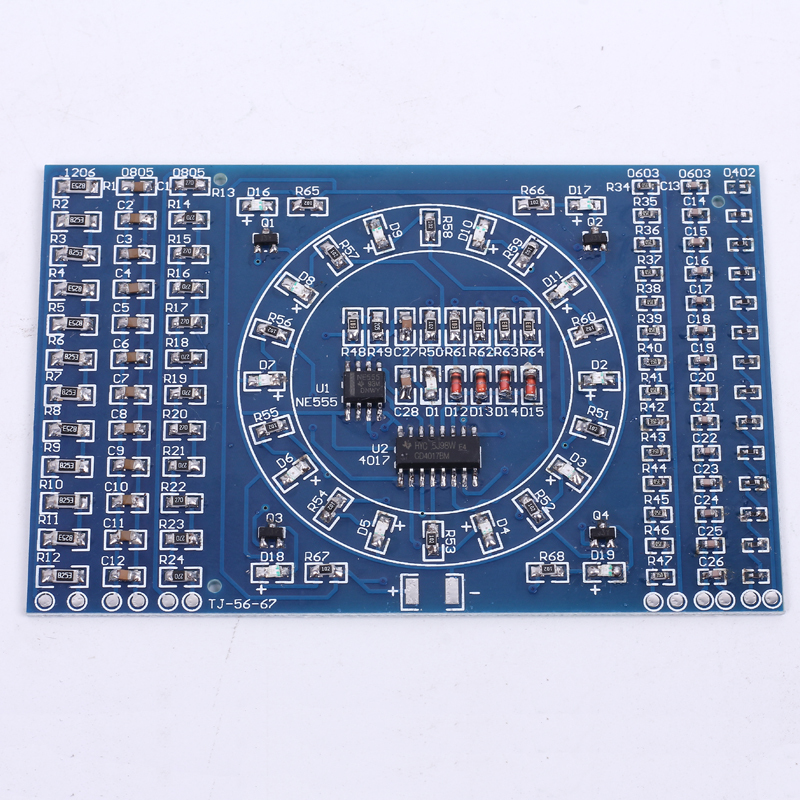 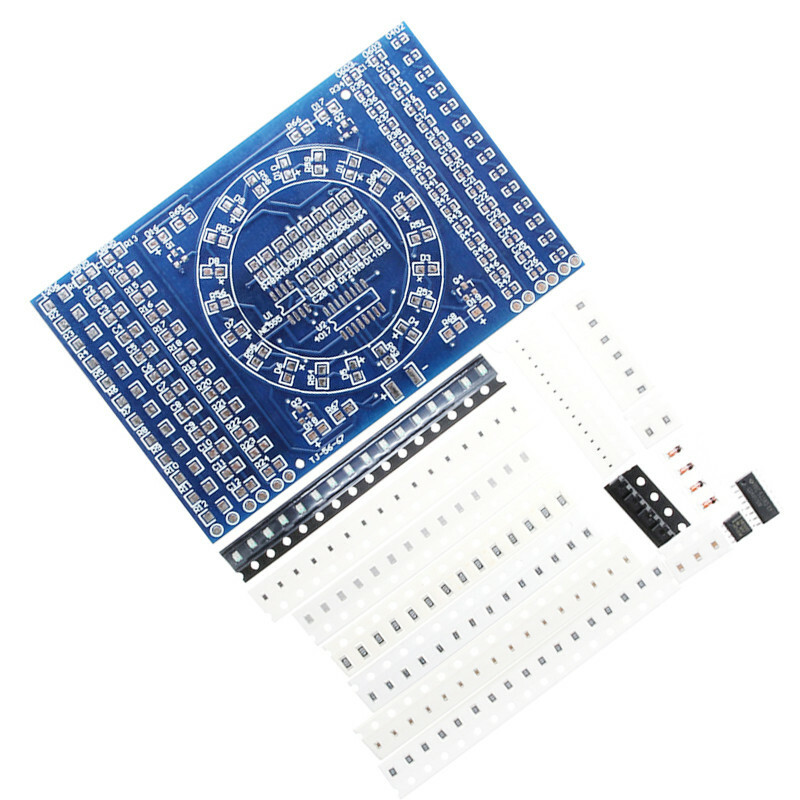 4, PCB board design is reasonable, are commonly used in the SMD components. 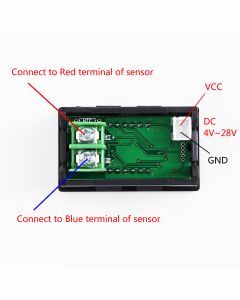 5, the left and right of the three components are used to practice welding, each column with a test point. 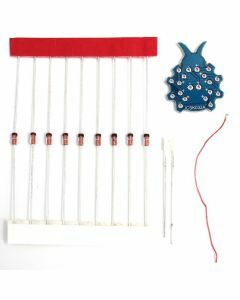 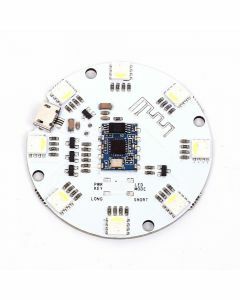 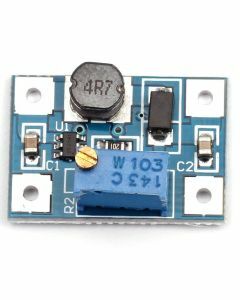 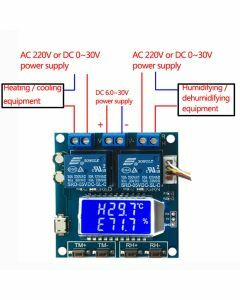 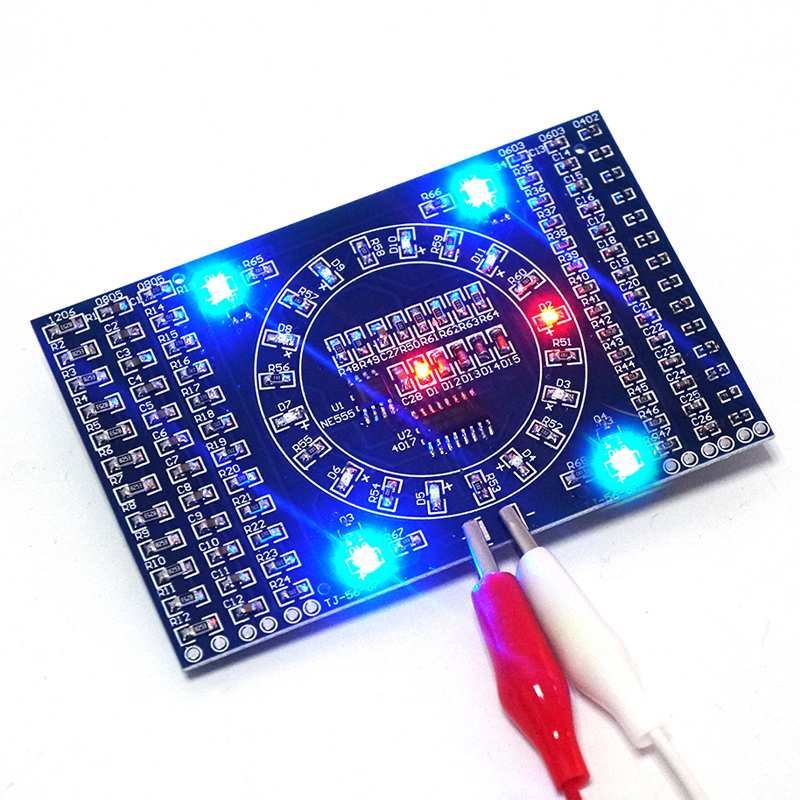 6, the middle of the circular circuit for the water lamp circuit, by the CD4017, NE555, light-emitting diodes, welding power can work. 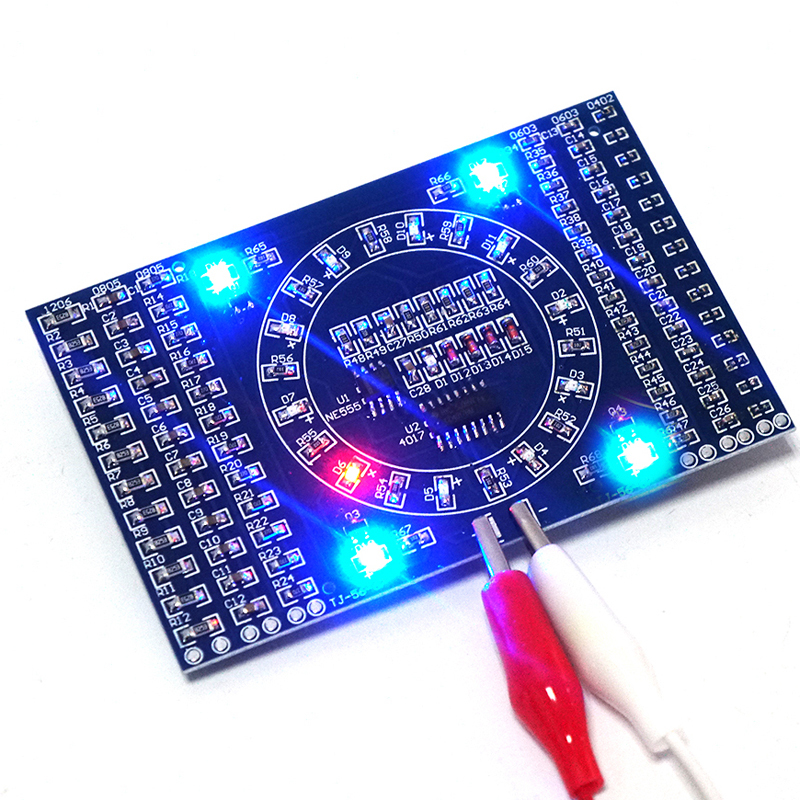 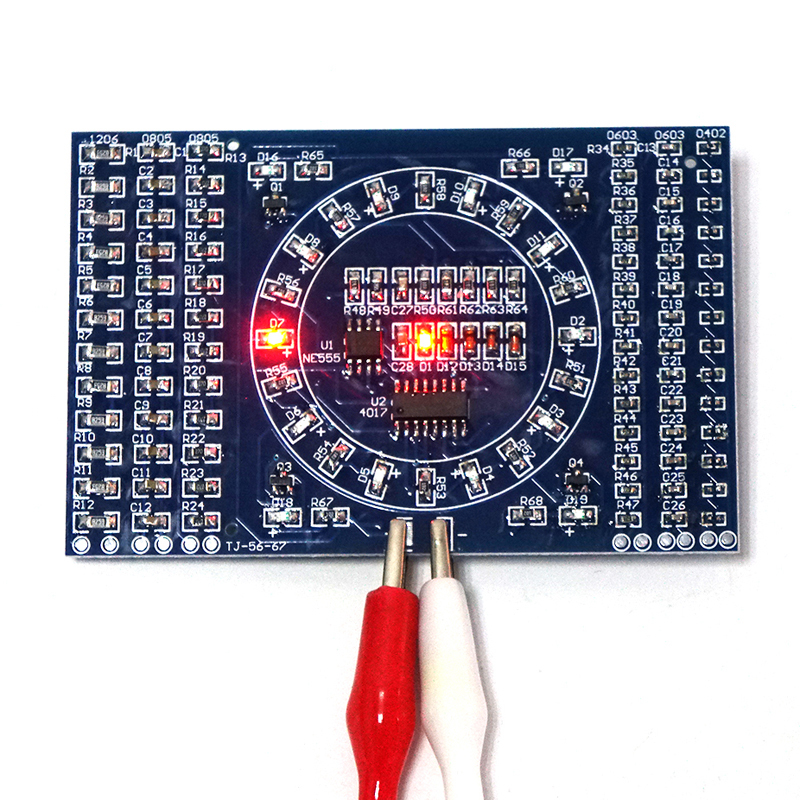 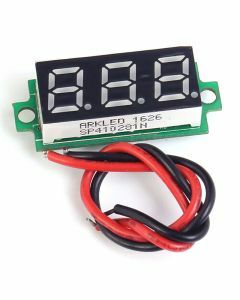 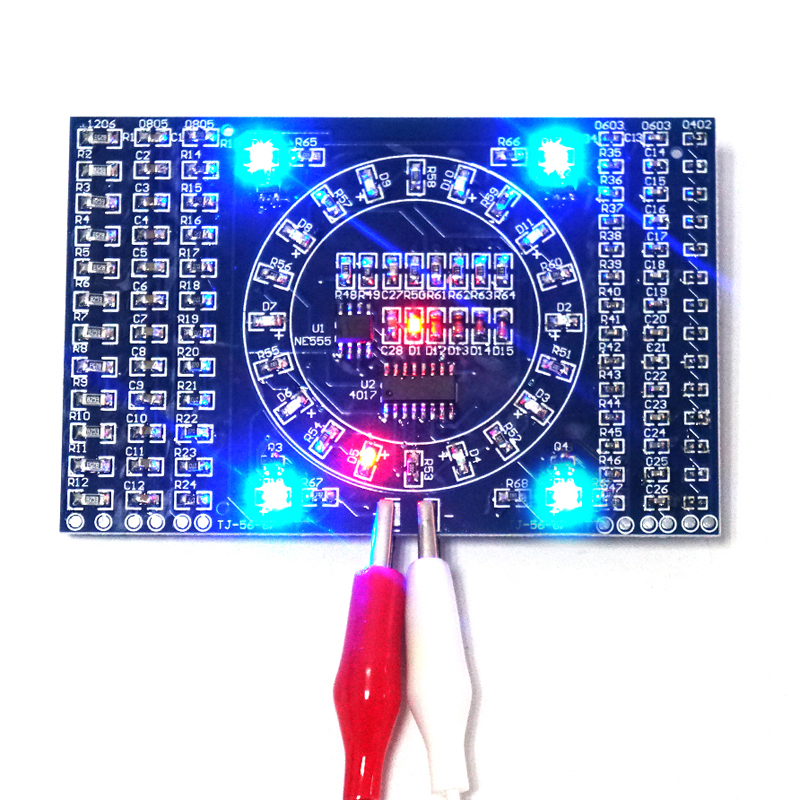 7, the circuit is also used on the back, a ruler to facilitate the measurement of components. 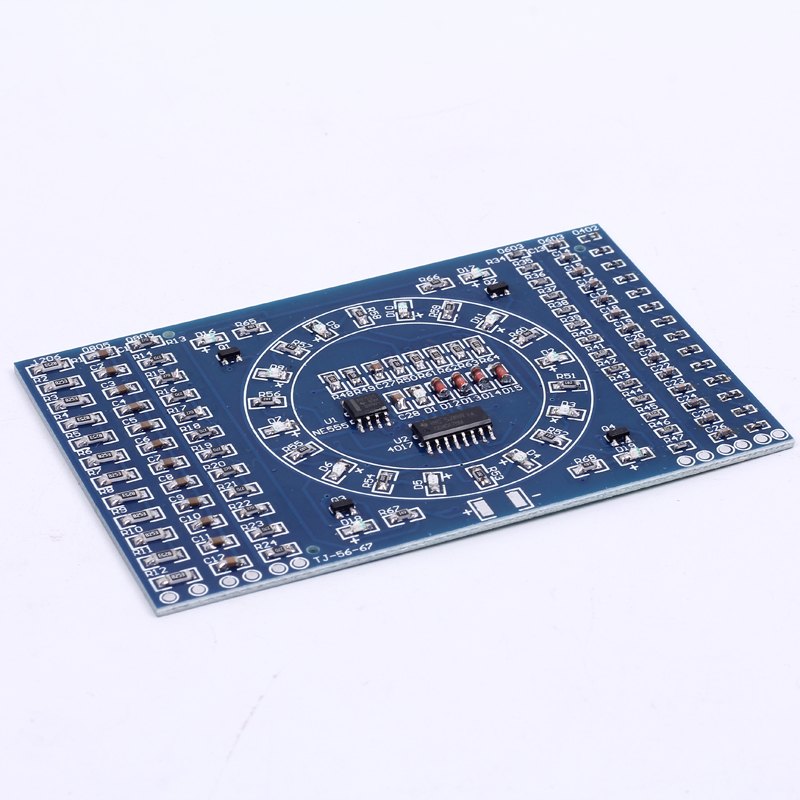 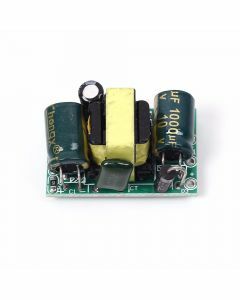 There are examples of PCB conductors to facilitate the use of PCB design. 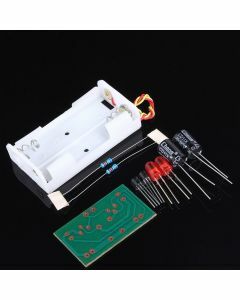 8, this kit contains all the elements of the following photos.